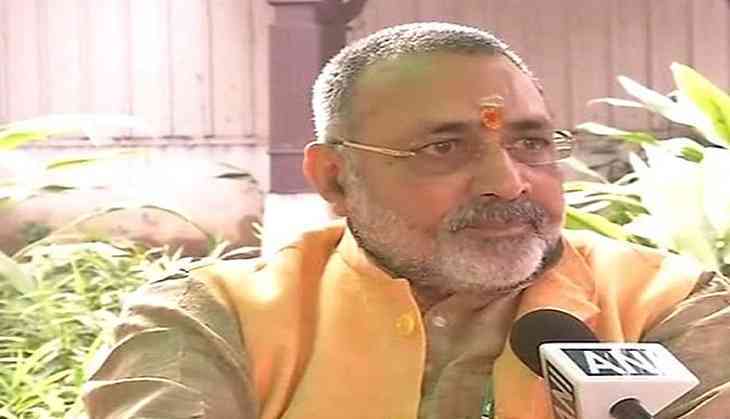 Bharatiya Janata Party (BJP) leader and Union Minister Giriraj Singh on Sunday said that the government must formulate a law to curb the population if it has to save "India's democracy from the growing divisive forces". "The population of the country in 1947 was only 33 crores. However, it has gone up to 135 crores in 2018. The Hindu population is witnessing a sharp decline. Neither the social equitability nor any kind of development is possible if the population is not brought under control. The debate should be raised from the road to the Parliament," Singh told ANI. "Most countries apart from a few have a law regarding population control. In India, it had not been possible because of the vote bank politics. In order to save the democracy, there has to be a law," he added. Singh's comment comes hours after he triggered a controversy by tweeting that the country might witness another partition in 2047 akin to that of 1947, on grounds of religion. "The country was divided in 1947 on the basis of religion. A similar situation will happen in 2047. In 72 years, the population has gone up from 33 crore to 135.7 crore. The population explosion of divisive forces is dreadful. At present there is uproar over discussion on 35A. It will become impossible to even mention about Bharat in the times to come," his tweet read. In July, Singh accused Congress president Rahul Gandhi of conspiring to divide the nation and influencing the Muslim intellectuals to do the same.